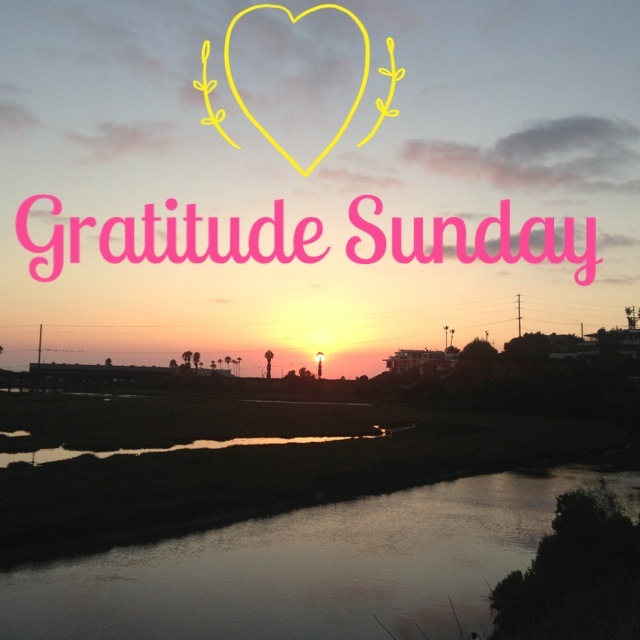 Raise your hand if you’re in for a gratitude challenge!! It’s all going down August 15th-September 9th. and can even help you manifest your dreams. 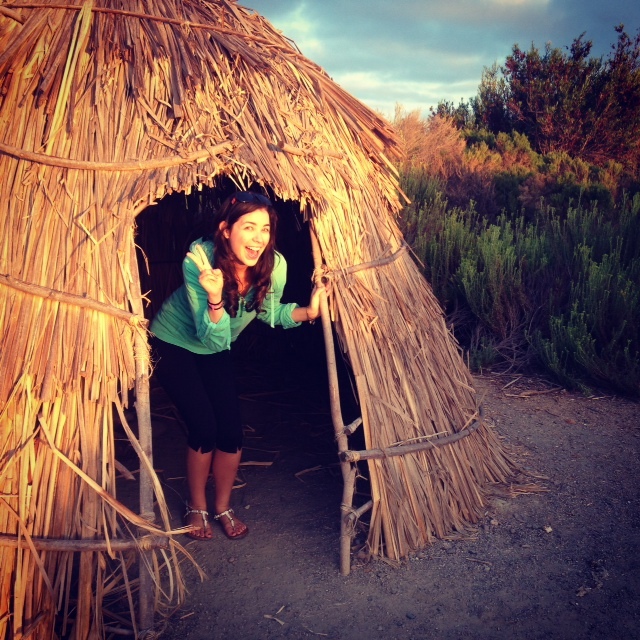 Will you join me in giving thanks? All you have to do is write down one thing you’re grateful for that starts with a different letter of the alphabet every day. That’s what it’s called the ABCs challenge :). This free challenge starts next week! Every day I will post a new prompt with the letter of the day and ideas for words that go with each letter in case you can’t think of anything. 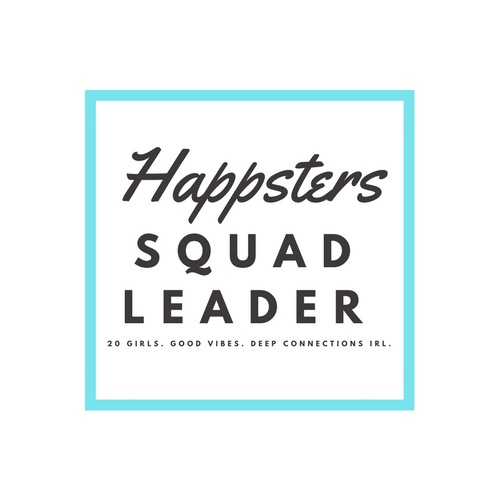 You’ll also have the support of the Happsters community to help get you through the challenge. 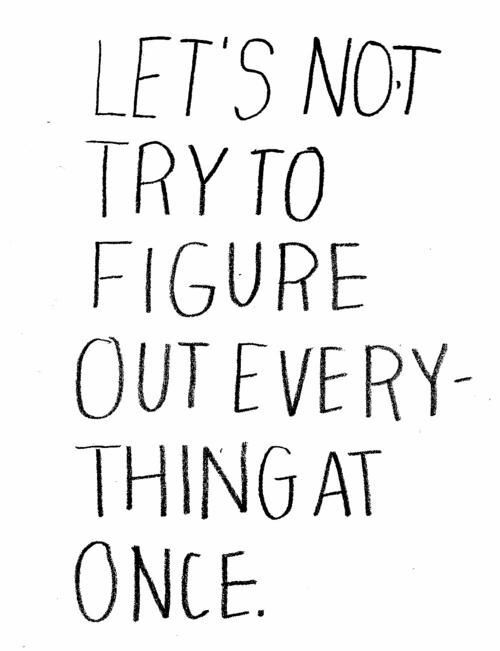 Here’s my mantra for today. Hopefully it will remind you to be more present as well. Do you multi-task a lot or are you good at focusing on one thing at a time? Let me know in the comments! When is the last time you thought about someone you were grateful for? Have you gone a step further and told that person why you were grateful for him? This week, I wanted to share an amazing video about the power of gratitude and the impact it has on happiness. 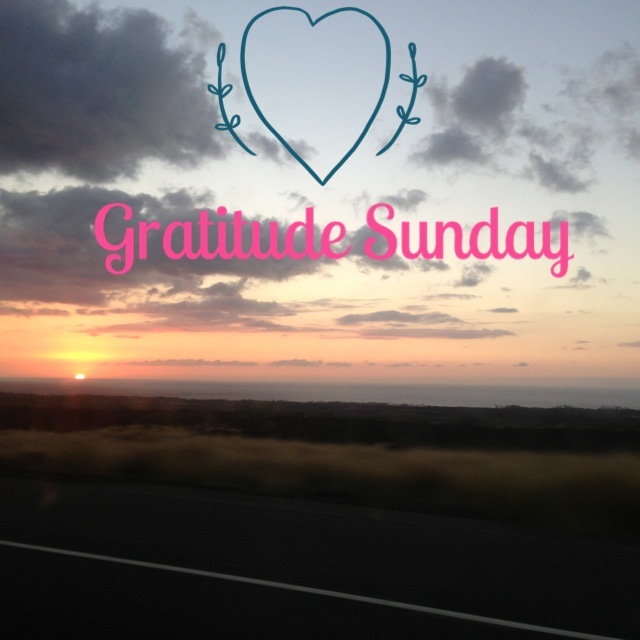 Happy Gratitude Sunday! I hope you’re all having a great week so far. Have you been enjoying the little things lately? Are you focusing on the positive events in your life? When you feel grateful and happy, you aren’t able to feel negative emotions like anger or envy. Let go of any stress that you’ve ben holding onto this week right now and remind yourself of all of the great things are going on. 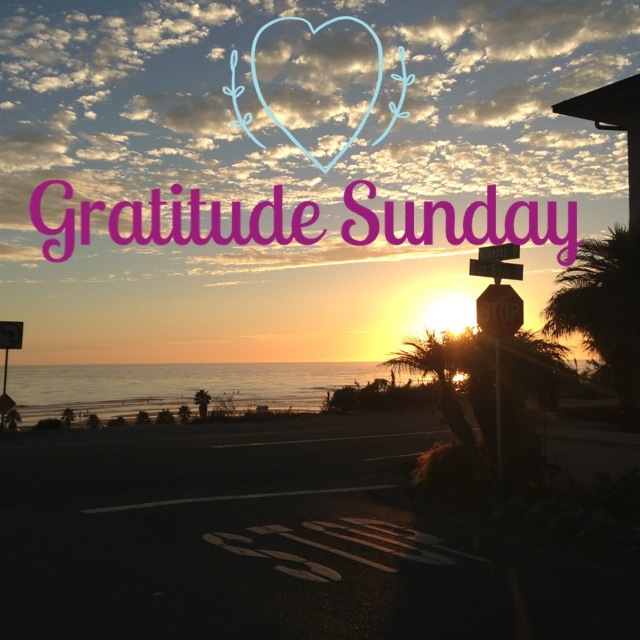 It’s time again for Gratitude Sunday! 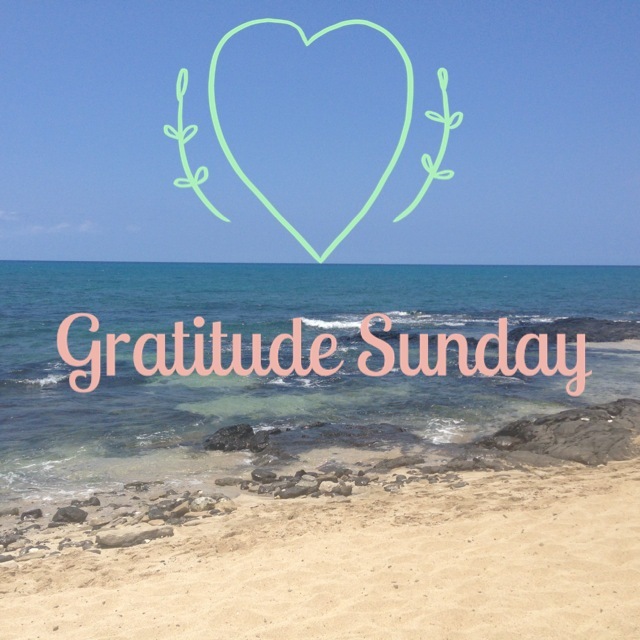 A few weeks ago I introduced this tradition because I think gratitude is so important to our happiness. There are so many benefits of practicing gratitude, but I wanted to specifically share this one with you today: In a series of experiments in the the Journal of Personality and Social Psychology, listing off all the things you are thankful for were linked with a brighter outlook on life and a greater sense of positivity. Are you challenging yourself to see the good today? When is the last time you thought of something you were grateful for? Often times we get caught up in what isn’t exactly perfect in our lives and forget to be thankful for what is going right. 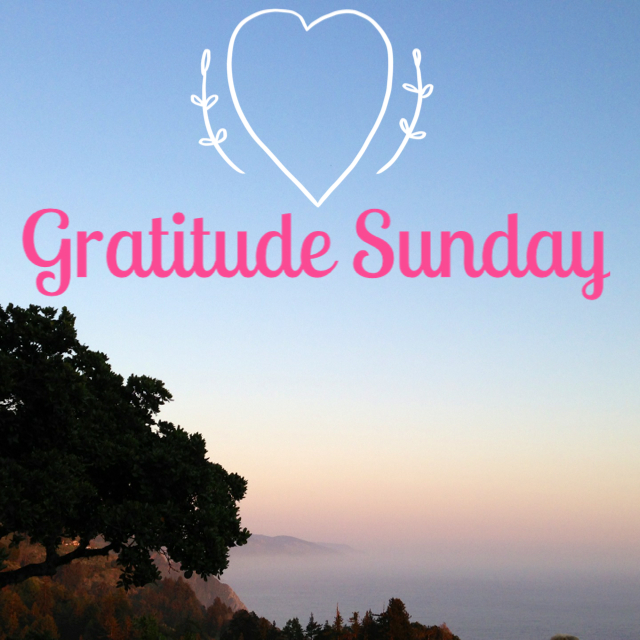 Since it’s so easy to fall into that pattern, I decided to start a series of posts about gratitude. In the TED Talk I recently watched, Shawn Anchor suggests that you think of 3 things you’re grateful for each day. 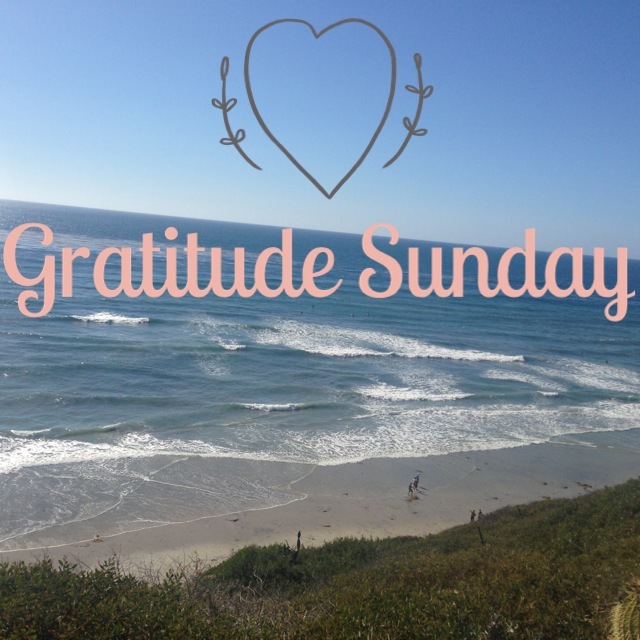 I usually do this when I wake up in the morning, but I want to take it a step further and share my gratitude with you all every Sunday. 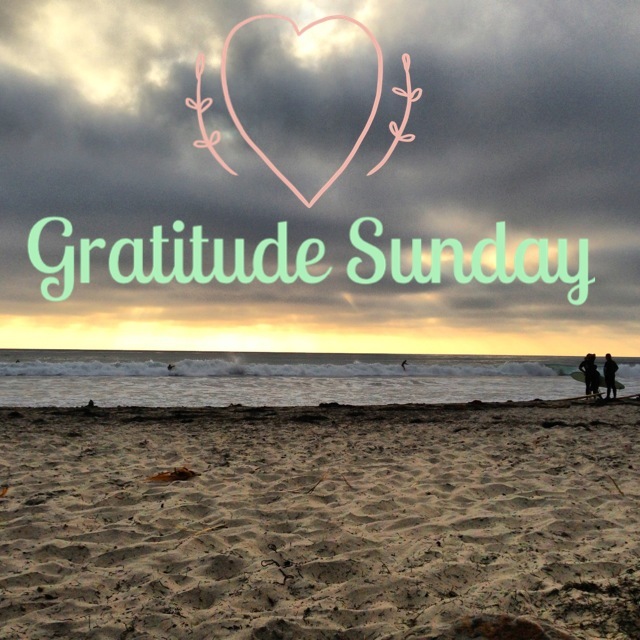 I would love for you to join me and tell me what you’re grateful for in the comments as well! 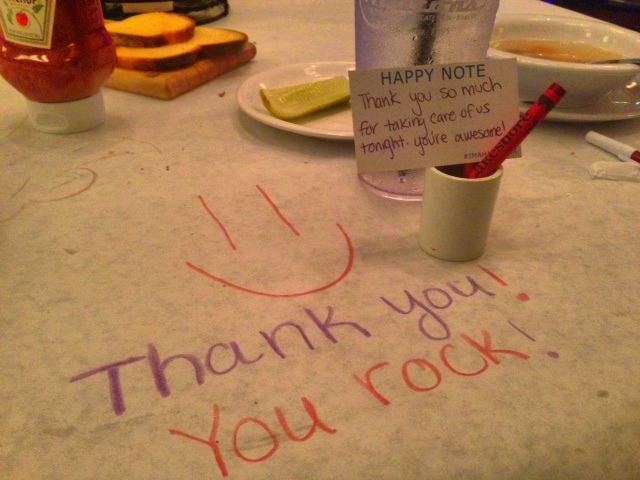 Showing gratitude is one of the most effective ways to reduce anxiety, depression, anger, and many more negative or “below the line” emotions.